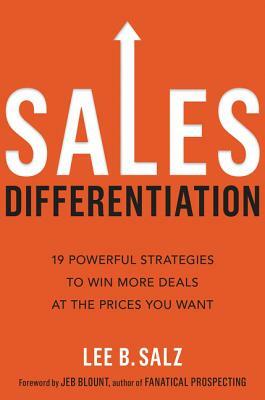 To win deals at the prices you want, the strategy needed is differentiation. Most executives think marketing is the sole source of differentiation. But what about the sales function of the company? This commonly neglected differentiation opportunity provides a multitude of ways to stand out from the competition. This groundbreaking book teaches you how to develop those strategies.